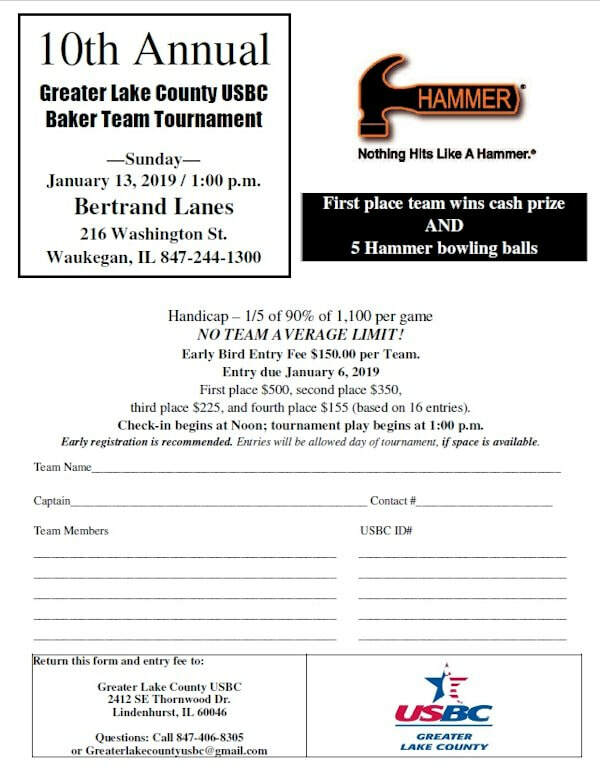 Bertrand Lanes will host the Greater Lake County's 10th Annual Baker Team Tournament Sunday, January 13, 2019. Check-in begins at 12:00 noon. The early-bird entry fee is $150.00 per team. Early registration is recommended to secure your team spot. Hammer returns as our equipment sponsor for the fourth consecutive year to award our Championship Team with new Hammer bowling balls. This is a fast-pace handicap event with no team average limit. Click on the flyer for more details and event entry form.